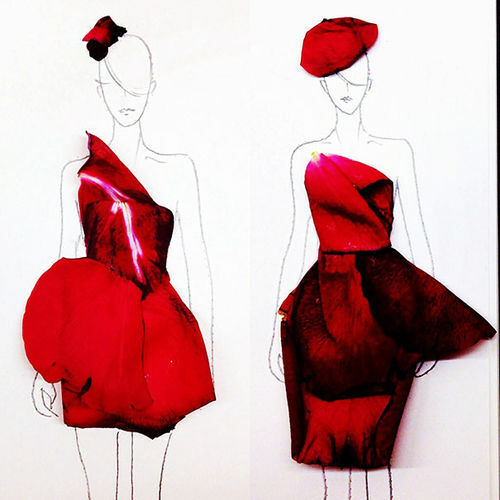 Say “Ciao” to creative Fashion Design. We love art and design because almost everyday we come across someone, something that will rock our mind in a way of how creative we can all be. We can find inspiration anytime of the day and all around us, as long as we keep our frame of mind open and see things beyond their primary functionality. Nature proves how wise and complete is, no matter what we do she will be many steps ahead and always serves us in a way or another. 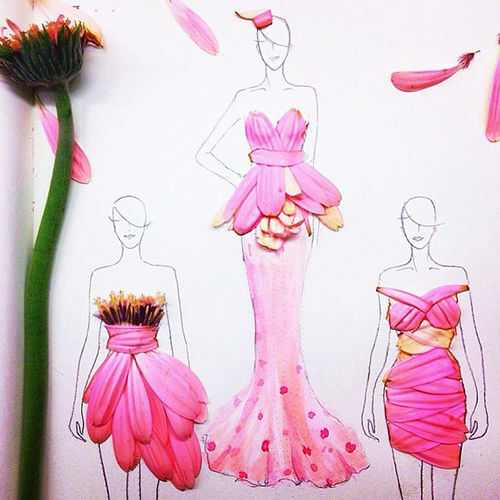 A young illustrator artists from Singapore, Ciao Grace, start using flower pedals by accident to create her fashion inspirations on paper. 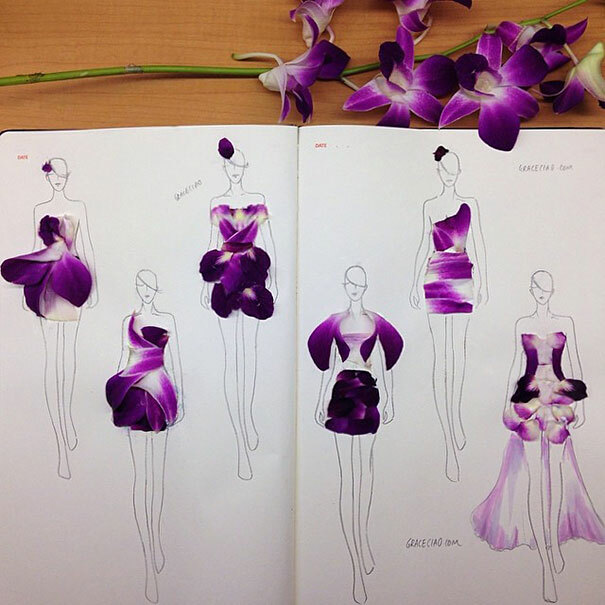 No need of color pencils or paint brushes. 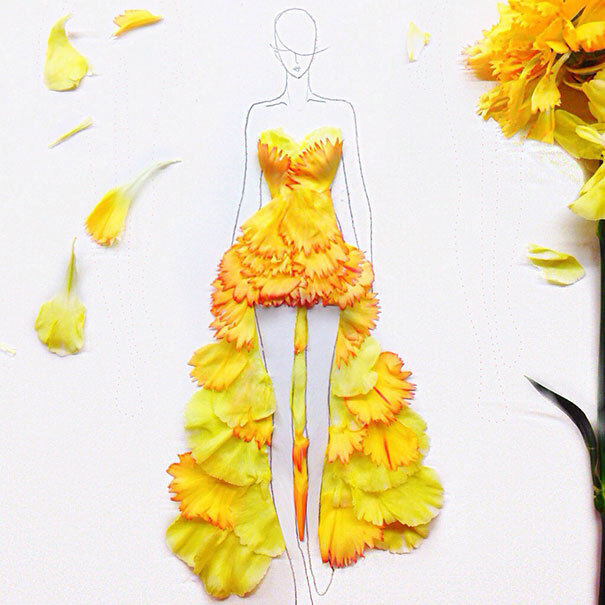 Just all kind of flowers. 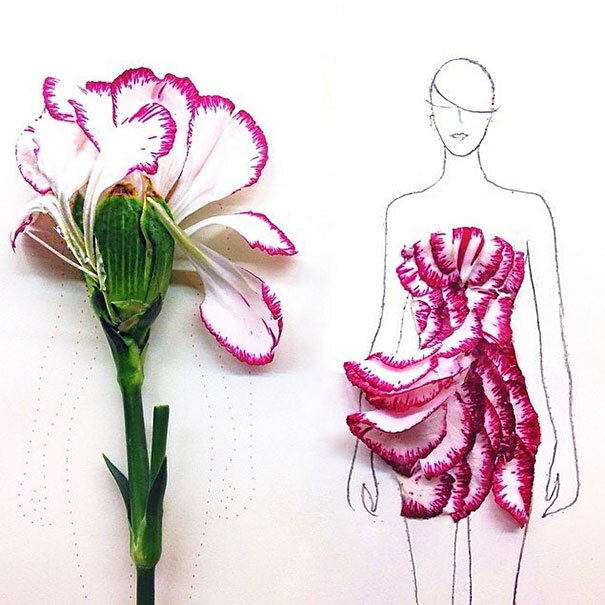 The petals become a substitute for lines, curves, and colors, but also become a source of inspiration themselves, introducing new kinds of forms and textures to her clothing designs. 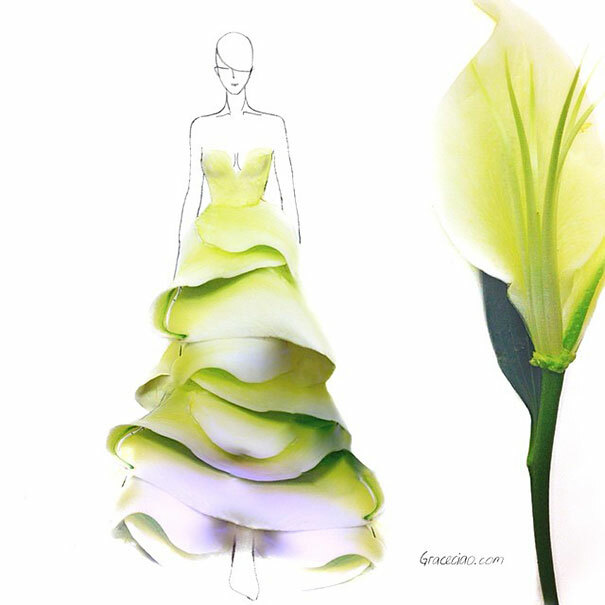 “They help me create prints which I otherwise couldn’t have thought of,” Ciao said. 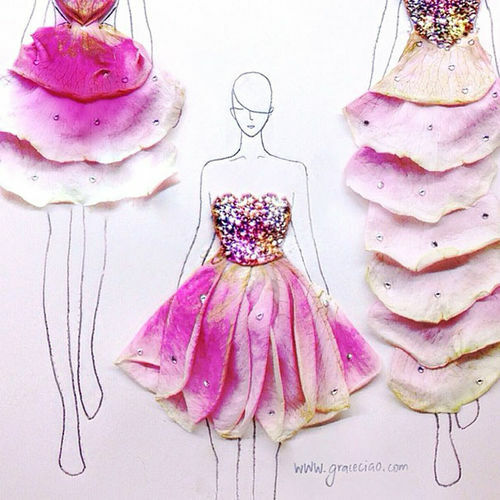 “I think petals work really well for illustration also because their delicacy and exquisiteness mimic those of a soft fabric. A clear message to lift our heads off our smart phones and start looking all around us for great ideas.